Children need lots of reassurances when their parent gets upset, or even just very stressed. When you're annoyed at something your child has done, your child will feel those feelings from you and see it in your face and they generally need to know at least something about why you're upset. Mostly what they need to know is not all the finer details of everything that's bothering us or all we have on our mind, they're more in need of an answer to questions like; "am I in trouble? ", "is it my fault? ", "might you get angry at me because you're in a bad mood? ", "are you caring about me?" It's very unsettling for children most of the time when they sense their parent's upset but don't know if their parent is overall still okay with them or not. As long as you remember to express your feelings maturely and responsibly, without blaming, criticizing, shaming or yelling, putting simple words to your feelings like "I'm feeling really stressed" creates congruence between your non-verbal communication and your words and then to add words, affection, a smile or a gesture of care can help your child feel reassured that all is ok between you and them. Can you remember how you felt as a child when your parent was stressed or annoyed or unhappy or frustrated? Reflecting on how you felt and what might have helped you is so useful in considering what your child might need. It's important that children feel safe to check in with us; "are you okay mum? ", "you seem annoyed dad? ", without fearing that they'll then have to listen to their parent's very adult problems which are impossible for the child to solve or even fully understand and can lead to a child feeling insecure. And it's also important that your child can trust that if they check in with how you are in some way, there isn't a risk of the parent venting at them; "NO I'm not okay! I'm bloody angry and sick to death of having to tell you ......., help me out here will you and do what you're told for once in your life!!" You might also like to read; Getting back on track - why we explode and how to prevent it. It's important to be honest with ourselves and our child, that they're not the *only* cause of all of our frustrations! Most of the time, a parent's frustration or upset relates more to their time pressures, the stress of not being able to meet their own needs, disharmony with other adults, worries about finances and other adult pressures. The frustrations which result from the child's behaviour are usually only one of many factors, yet a child isn't aware of this bigger picture. The parent may have had an upsetting disagreement with their partner or friend. They may have been awake half the night with the baby. They may be unwell, they may be stressing about how to pay the mortgage. Yet the child whose expressing strong disappointment at not getting their parent’s attention often cops the impact of all those other stresses. And unlike us adults, the child is unable to rationalize that all that anger is not a reflection on who they are as a person. Children tend to assume that it's all their fault and that there's something wrong with them, unless told otherwise. Owning our emotions to protect our child. It can be so reassuring to the child when their parent explains that there are OTHER reasons for their stress and frustration. For instance a parent might use I statements to express; "I know I'm really grumpy this morning, I'm just stressed because I'm tired and there's a lot to do today. " Or "I know I sound annoyed at you honey, but it's just the stress coming through my voice. I have a lot on my mind and I'm very stressed, but I'm not angry at you" I often find myself saying something really similar to my kids. They still would prefer that I was in a better mood, yet they at least know that they haven't *caused* my stress. And often speaking out loud that I'm stressed helps me to shift my mood and usually moves me towards connecting warmly with my kid even though I'm stressed and rushed and have tons on my mind. If you get the feeling for how reassuring this can be for your child, you will find a way to get this message across that's age appropriate and accessible to them, just a simple "hey let's take a minute to have a hug will we" or bringing in some humour communicates the same kind of reassurance. When a parent owns their stress and learns to express it non-aggressively using I Statements, this provides great modelling for children and you'll likely soon start to hear your child owning and naming their frustrations in similar ways. Try to avoid giving your child confusing mixed messages about your feelings. Some parents want to protect their child from being affected by their parent's feelings and instead try to mask their feelings by just speaking sweetly when they're clearly unhappy, but this is more likely to leave a child feeling confused and lost. The parent who avoids ever talking about their feelings to their child may well believe that their child shouldn't be burdened by their feelings, yet a parent's feelings are showing all through the day in all sorts of ways and our children are highly attuned to our mood and stress levels. To avoid your child blaming themselves or walking on eggshells, being honest about our feelings in an age appropriate way where we're also showing that we're owning our feelings leads to more peace and harmony. We show our commitment not to blame our child for how we feel when we express something along the lines of: "yes I am feeling frustrated that you don't want to go on the bus today and I need to collect you because I have a busy day, but I do also understand your choice and it's been helpful to talk it through and better understand your feelings", or "yes I'm frustrated, I feel conflicted because not being able to collect you from school means you're unhappy about going on the bus. I feel a bit guilty and worried about you, yet I'm not annoyed at you, just concerned for you." If a parent masks their natural reaction too often, a child is also denied the healthy learning that their actions have an effect on others, which is best gained through calmly talking about feelings in a non-blaming way. The healthy balance is to show your real feelings honestly but maturely, offering important feedback and information for your child, while also showing care for how your feelings affect them. So, to say; "oh dear I'm very disappointed to see that you threw your bowl of food to the ground" is a real and honest response, which for most parents is a big improvement on "oh for God's sake, look what you've done now, what next!". Expressing your disappointment with as minimal a charge as possible (tone of voice is everything! ), gives him/her the information that throwing food on the floor stresses mum or dad, and also allows the parent to express their frustration in a way that's enough to give the information, but not so strong that overloads, scares or shames the child. And often those I Statements can wait until later if your child is expressing strong emotions, they won't have any capacity to hear and absorb even your very mature and level I statements. It's a matter of reading the situation and choosing your approach accordingly. But what's very important is to always come back to the connection after even small upsets. Offering connection, warmth and reassurance at such times allows the child to learn rather than rebel or feel negatively about themselves; "but t's ok honey, we can sort it out, what do we need to clean it up? .. Yes, good idea! Let's grab the sweeping brush. How about next time you're finished your food, you call out "all done!"" I sit here tearing up b/c I recall all to well when I was child trying to figure out what I did to cause my parents anger/sadness, you fill in the blank. As I’ve grown older I have come to realize it wasn’t me, my mother was/is a moody chronically depressed individual and my father had/has difficulty connecting w/ his feelings. Their inability to deal w/ emotions/situations in a healthful manner lead me to many years of worrying about making others mad or disappointing them when I could not be perfect. I am so mindful now of my actions/words since having my daughter. I catch myself now repeating some of the habits of my parents and it has to stop or I’ll pass along my childhood to my daughter – which is unacceptable. Thank you for writing this. Andrea, it’s so sad that you were both impacted in no doubt so so many ways by your mother’s depression and your father’s difficulty connecting with feeling. Humans are all about our feelings and when parent’s are emotionally not as available, warm and responsive as a child needs, they will of course receive it as messages about themselves. Your daughter is very lucky that you’ve been on this journey of reflecting on and gaining insights into your childhood patterns, how they impacted you and hence being so much more mindful of what you do and don’t want to do as a parent. Thank you for sharing. Jacqueline, the tensions and the stress at these times are very contagious, so just to keep your cool and speak calmly and kindly to your girl is a success in such a moment I reckon! And the earlier challenges in the supermarket – I’ll bet it felt really good to help your girl feel more calm and secure by speaking calmly without giving her any more stress to deal with. 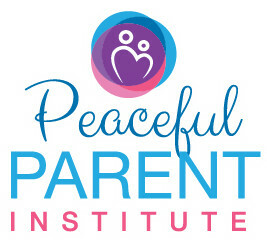 This is such big work for us parents, to help our children come back to balance again and again and again, and in so doing, we’re teaching them that that’s exactly what they need and they begin to internalize our calm caring voice – to slowly learn to bring themselves back to balance. Lovely that you helped your girl and hubby come back to peace with each other, which resulted in her willingly getting into the shower. Ending tv or dvd time can be tricky because they just get so very hooked in. I would imagine she already had a clear idea about when the tv was going off, after such a program or whatever, and yet it’s easy for parents to lose track of the time and they can get stuck into the next program or they start watching another dvd. Generally, instead of just turning it off, if it’s a dvd it’s better to pause it while the conversation happens, or if it’s the tv, wait till the next ads then turn down the volume, this creates a pause and the parent can then connect with their child and maybe offer them a piggy back down to the bathroom or whatever. It’s lovely that she apologized, yet it’s even better when those apologies surface without the prompting, it’s nice to acknowledge that they both got upset. I’m sure you did validate how upsetting it was for her that dad shouted at her, we just have to be careful in explaining the other parent’s perspective at those times, that it doesn’t sound a bit like “that’s why he shouted” or even the subtle message that “he was left with no choice but to shout” because that reinforces that it’s okay to shout when the other person doesn’t cooperate. There are many many moments in a day when a parent is very slow to move from what they’re doing to what their child wants them to do, so we need to afford grace in all directions. Yet inviting a child to think about how the situation could have gone better often leads them to expressing that they regret not cooperating, which is a more natural and heart felt expression of remorse that helps to build their plan for how they want the situation to go the next time. I’m being very cheeky here in giving unsolicited advice knowing that you’re doing the eCourse at the moment and likely in that hungry learner mode. And I’m aware that some of this may not be relevant to the situation at all. these boundary issues are so hard aren’t they! Yes Lucy, so very tricky. So much rewiring of our brains really to be able to tune in to our children’s feelings and needs at these times when we ourselves are feeling so stressed and stretched. Yet every time we can do that, it really helps children feel so much more secure, and teaches them that their needs are seen and valued.